Doing what we love, Loving what we do — United Professional Ski Patrols of America. Joining the UPSPA gives you a real voice and the potential to turn patrolling into a career. The United Professional Ski Patrols of America Local 7781 union is part of CWA District 7. 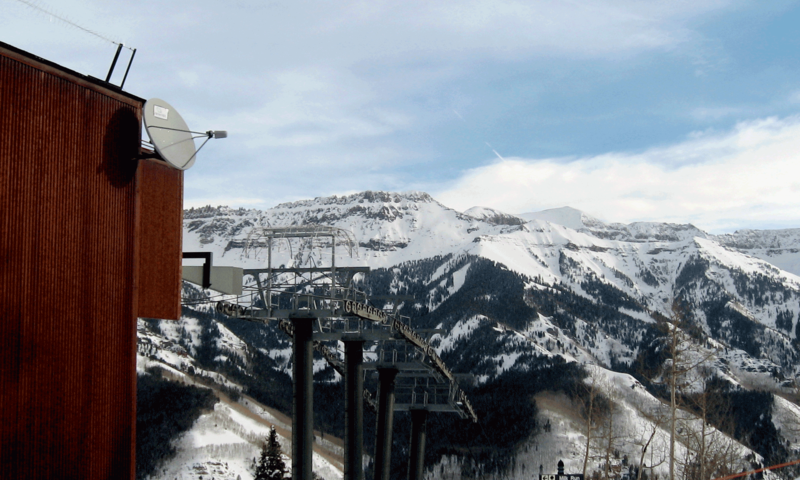 Through UPSPA Local 7781, The Communications Workers of America represents Ski Patrollers at Crested Butte, Park City, Steamboat, and Telluride. The CWA is committed to improving the working conditions of Ski Patrollers—who statistics show have one of the most dangerous jobs in the United States and Canada—and within the ski industry in general. CWA District 7 is responsible for negotiating contracts with over one hundred fifty employers—including ski industry giants Vail Resorts and Intrawest—and has over one hundred seventy chartered Locals. CWA is one of the largest unions in Northern America, representing 700,000 workers in public and private sector employment. Along with the ski industry, we represent workers in telecommunications, state and local government, healthcare, education, newspapers and print shops, flight attendants, law enforcement, manufacturing and more. We are proud of the work we do. Most of us have heard the saying “choose a job you love, and you will never have to work a day in your life.” For those of us fortunate enough to be ski patrollers, we live that saying almost every day. That booming sound that’s heard in ski towns early in the morning after a storm? That’s us, using high-explosives to start avalanches. That’s right, when the big storms hit, we head out onto the mountain at the crack of dawn to start avalanches and knock the snow down so that the resorts can be safely opened for you, our guests. Whenever skiers or snowboarders get into trouble outside the resort boundaries, the local authorities call on the ski patrol to bring those folks back home safely. Our expertise allows us to coordinate the search from the ground and from helicopters in the air. Skiing is one thing. Skiing with an injured customer in a toboggan behind you is another. We constantly hone our skills to make sure we can get you safely down the mountain when you can’t get yourself there. That’s why we wear the cross on our uniforms. From skiers thumb to more serious emergencies, one of our most essential skills is to be able to manage medical situations. Our number one priority – From providing medical care and transportation in adverse weather, to going into avalanche terrain at the crack of dawn carrying high-explosives, to entering the back-country on search and rescue operations, everything we do is to help make skiing and snowboarding safe for you, our guests. To provide these services, we have a number of outdoor medical and rescue certifications—which we often have to pay for out of our own pockets. And while it might look fun “throwing bombs,” avalanche mitigation is one of the most hazardous occupations in North America, right up there with commercial fishing and logging. And, in many places, we can’t even afford to live in the mountain towns that we work in. The average wage for a ski patroller is around $13 an hour. That’s right, while we have specialized training and work in what can be very dangerous conditions, the resorts often pay us like unskilled teenagers in a first job. Ski Patrollers are tasked with one of the most rewarding, but dangerous, jobs in North America. From the high-profile to the ordinary—from avalanche mitigation to evacuating a chairlift to answering questions about the mountain—we do it all. Like many of you, we feel that we should be treated with the respect and dignity that professionals deserve. We all feel fortunate to be able to work at a job we love. But just because we have our dream job doesn’t mean that we should settle for less. Or that we shouldn’t be able to make a career out of ski patrolling—to be able to put down roots in the mountain communities that we’ve come to call home? Maybe you’re lucky enough to still work for a “mom & pop” ski hill. Maybe you’re treated with respect & dignity, given a great gear allowance, sent to avalanche classes and paid a wage that allows you to live in a little mountain town. Maybe your concerns are taken seriously and you’re not told to “take it or leave it” or that “it’s my way or the highway.” But what if maybe you’re not so lucky? The massive companies that now run the industry seem to have forgotten about us, and the towns that they take over. While our wages stagnate, rent skyrockets while the cost of skis, boots, clothing and other essential gear climbs – profits and stock value are still placed above everything. What about investing in the safety of the guests and employees? What about investing in experienced patrollers? We all love skiing, and we patrol because it really is a great job. We enjoy working on the mountain and having the opportunity to help people. And unfortunately, because we enjoy our jobs and consider ourselves so lucky, we always seem to settle for less. But it doesn’t have to be that way: there is a way to gain a voice, a way to be heard—a way to turn patrolling into a career. It shouldn’t be complicated. The over 400 patrollers in the United Professional Ski Patrol Association get to negotiate legally binding contracts with the resorts that we work for. By banding together, we can start to make these changes, and turn patrolling into a career. These are issues that shouldn’t have to be addressed. We’ve decided to band together to improve our wages and our working conditions. Crested Butte News interviews CBPSPA President Chad Berardo about ongoing negotiations with Vail. Pique Newsmagzine interviews CWA’s Al Kogler about the ongoing contract negotiations in Park City as part of an article about the unionization efforts at Vail owned Whistler-Blackcomb. ABC 4 Utah interviews Park City’s Julia Edwards about contract negotiations. Watch here!! © Communications Workers of America District 7, AFL-CIO, CLC. All Rights Reserved. Photographs and illustrations, as well as text, cannot be used without permission.